A collection of songs perfect for a summer evening. .hold you in my arms.ray lamontange. One of the best love songs ever written. You tear me apart, sir. Tear. Me. Apart. .the lions roar.first aid kit. I'm new to the First Aid Kit scene, but this is the stuff I listen to when I'm wandering. I'll never get sick of Mazzy Star. Never. .like a star.corinne bailey rae. .big jet plane.angus and julia stone. I've loved these two for a long time. This track just *sigh* makes me believe that there are still good things in the world. Yep. The song that I will hear in thirty years and be instantly taken back to this summer. I'll never get over my love for Ed Sheeran, I could listen to him sing a grocery list and be happy. Luckily his stuff is ten times better than that. I've felt like this. Especially recently. I purchased the How I Live Now soundtrack recently (I'm a pretty big Jon Hopkins fan) and this song just took my breath away. I'd heard the original by Daughter before, and though this isn't majorly different when it's bookended by Jon Hopkins it has such an impact. Instant love. .a sky full of stars.coldplay. Is it wrong to still love Coldplay? Does it make me too old? I wore a Rolling Stones shirt to the store and had someone tell me it was the devils music (true story). If loving The Rolling Stones is wrong, I don't want to be right. This is my current favorite of theirs. I rawness you hear throughout just tears me apart. .jolene.ewert and the two dragons. I got sucked in by a band name, and became a massive fan. This reworking of a classic is my current favorite of theirs. .all the sand in all the sea.devotchka. The fastest romp on this mixtape. I'm just a huge fan. Another song that gets to me, Birdy has a way of reminding me of the innocence of being young, but how jaded you are too. This feels like driving to the beach, or floating down a river, or laying on the banks of a stream, or in the sun in a trampoline. Songs don't always need words to make you understand what they're saying. I've included this on a lot of playlists. It's a good song anytime, anywhere. Another beautiful track that I think I may have used before. . .? .holding on to good.delta rae. I run and hike to this song, it gets me through the hard things. 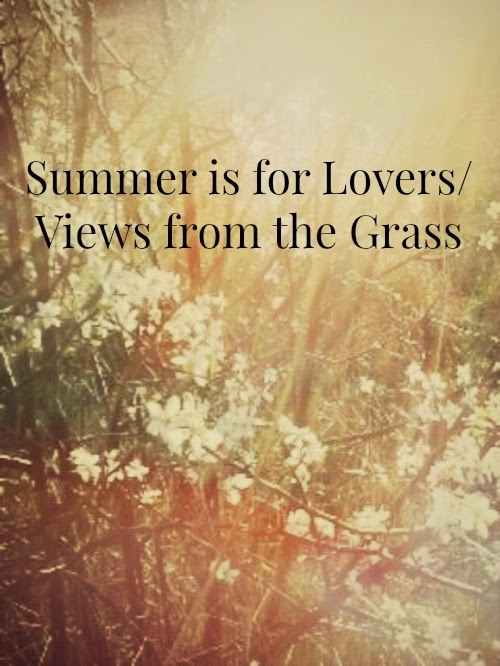 Summer is for Lovers/Views from the Grass from mixedupfiles on 8tracks Radio. A Book and A Record, Copyright 2012. Simple theme. Theme images by merrymoonmary. Powered by Blogger.